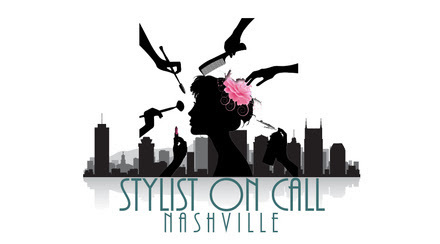 Jules Wortman has launched Stylist On Call, Nashville, providing clients professional and affordable hair and makeup services that come straight to the client. Anchored by a team of professional stylists, the “glam on demand” team visits clients at their home, office, hotel, event or wherever needed. Debbie Dover Hall will serve as Style Director for the company. Stylist On Call, Nashville also offers services in surrounding communities, including Bellevue, Brentwood, Franklin, Hendersonville, Hermitage, Mount Juliet, and more. To book an appointment, visit stylistoncallnashville.com or download the free app. To book, clients select their preferred appointment date, time and location and make a secure online payment. A stylist will then contact the client to confirm the appointment. Same-day appointments are accepted. The website and app include all information regarding booking, as well as a style gallery and images of stylists’ previous work. 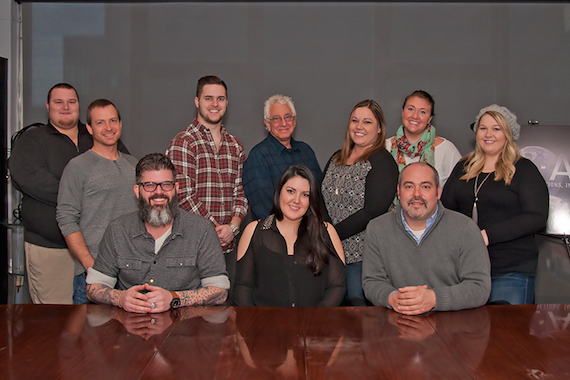 Back Row (L-R): Joe Lee; Brian Fee; Grayson Flatness, David Kinswiney, Senior VP, BLA; Amy Aylward; Aura Guadagno; Nicole Wyatt. Front Row (L-R): Clint Perry, Plaid Flag Music; Kree Harrison; Mike Meade, Representing Agent/VP, BLA. Kree Harrison and Daphne Willis join the list of entertainers on the BLA roster, which also includes Justin Forrest, Halfway to Hazard, Brooke Hogan, Sonia Leigh, Radio Romance and more. Producer Marshall Altman highlights several songwriters behind some of country music’s greatest hits for a new album benefitting Alive Hospice. 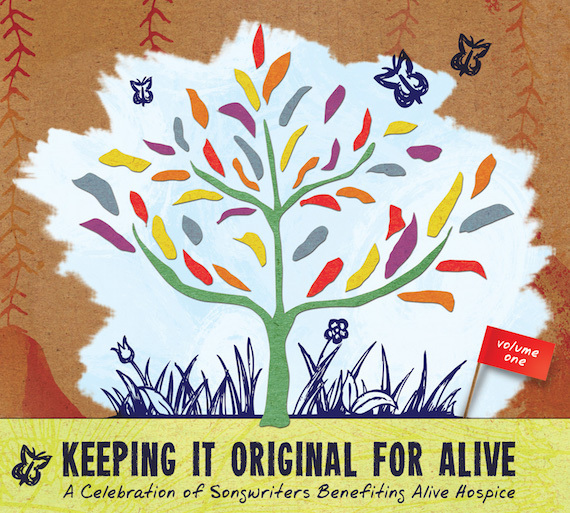 Keeping It Original for Alive: A Celebration of Songwriters Benefiting Alive Hospice features 13 songs that became hits for Kenny Chesney, Lee Brice, Josh Groban, Gary Allan, Frankie Ballard, Chase Bryant, Lance Miller and John King. The album is available at alivehospice.org, as well as at iTunes, Amazon, Google Play, Spotify and other digital stores. The project is also available at the Bluebird Cafe this month, during the 23rd annual Alive at the Bluebird concert series, which includes three shows with songwriters featured on the project. Two upcoming shows will take place this week. Jessi Alexander, Shane McAnally and Josh Osborne (with Nicolle Galyon) will perform Wednesday, Jan. 13, at 9:30 p.m. Marshall Altman, Dylan Altman, and Tommy Lee James (with Gabe Dixon) will perform Friday, Jan. 15 at 9:30 p.m.
Jordan Feliz‘s first CCM single, “The River,” has remained No.1 for five weeks on Billboard’s National Christian Audience Chart and seven weeks on the CHR/Hot AC Chart. 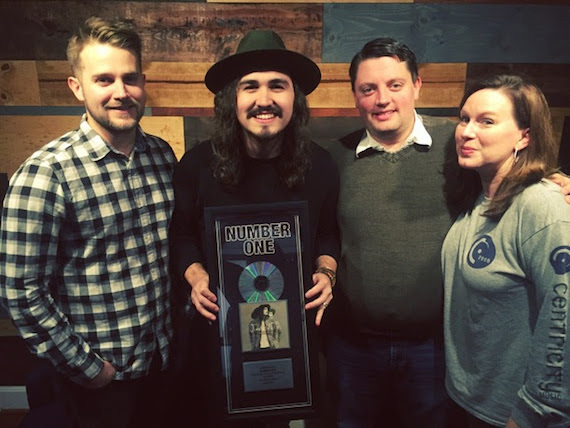 The Centricity Music staff helped Feliz to celebrate this achievement with a No. 1 plaque. The presentation was made by Jon Sell, Manager of A&R, Kris Love, Senior Director of National Promotions and Jennifer Allen, Director of National Promotion. The single is from Feliz’s debut album for the label, Beloved.